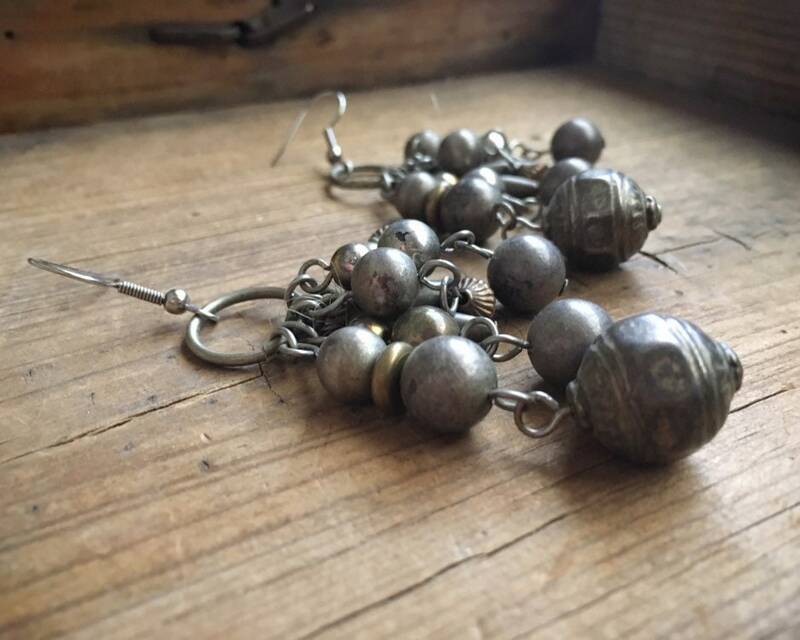 These vintage ethnic earrings are fun and fabulous with varying sizes of silver tone balls, some actually tribal silver and other nickel, in differing lengths. 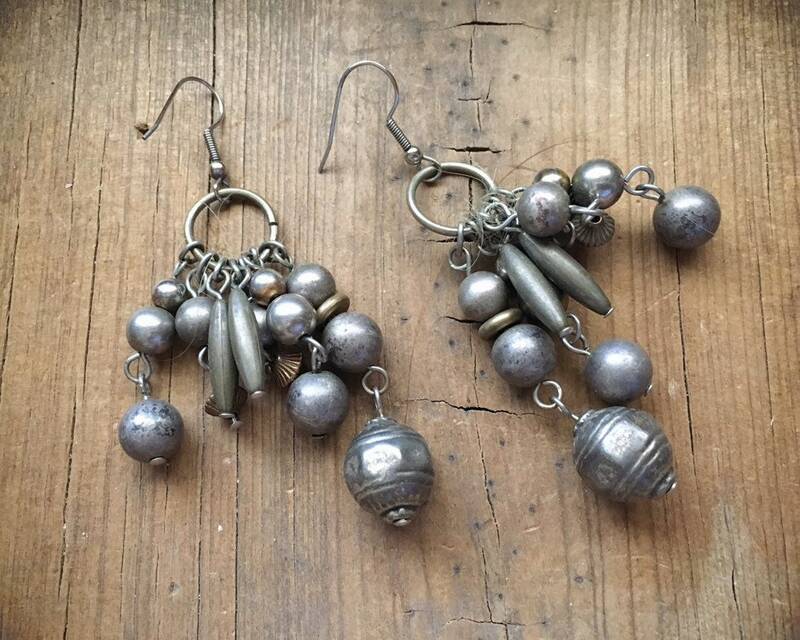 And because the beads are holly, the earrings are super light and easy to wear all day long. 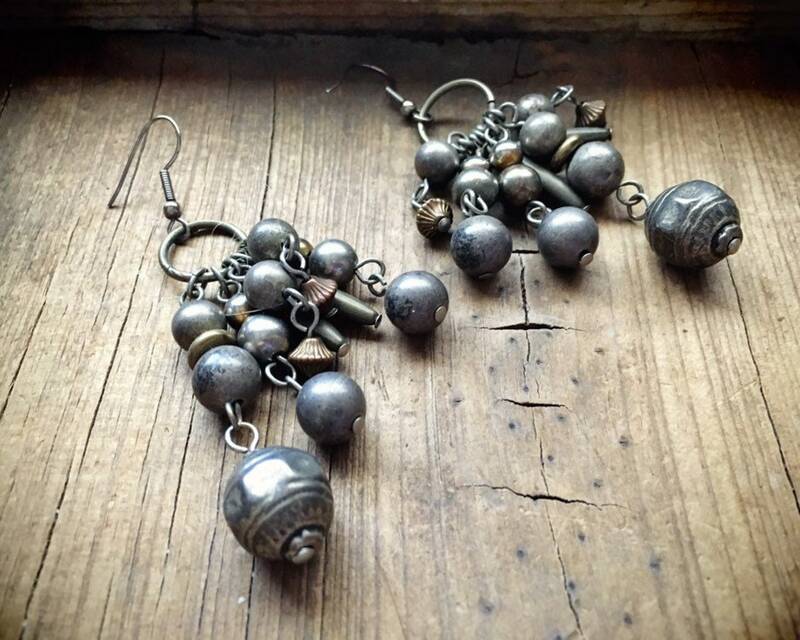 A versatile earring for every day, but especially when you want a bit of silver glitz, such as during the holidays. 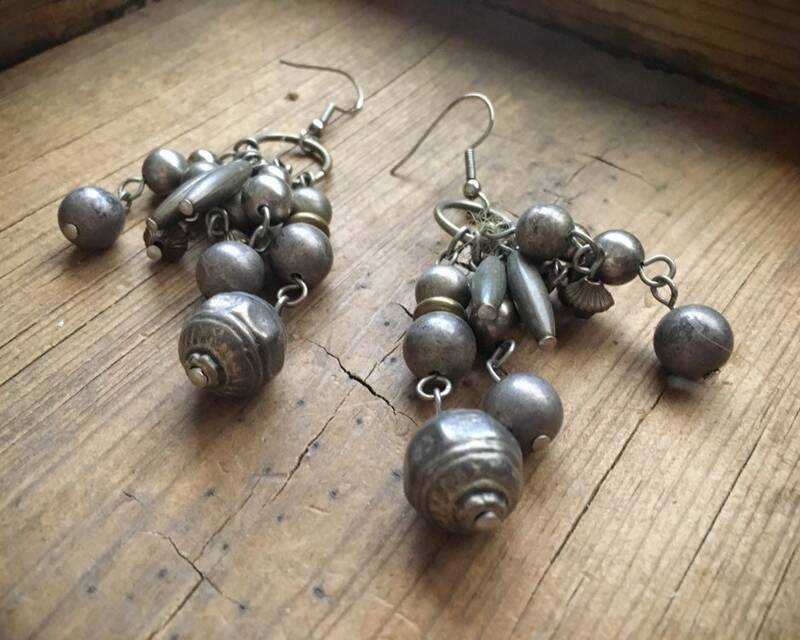 I am happy to give these a light polish if you wish, and I am also happy to put them on sterling silver French hooks if you have an allergy to nickel. Just let me know. 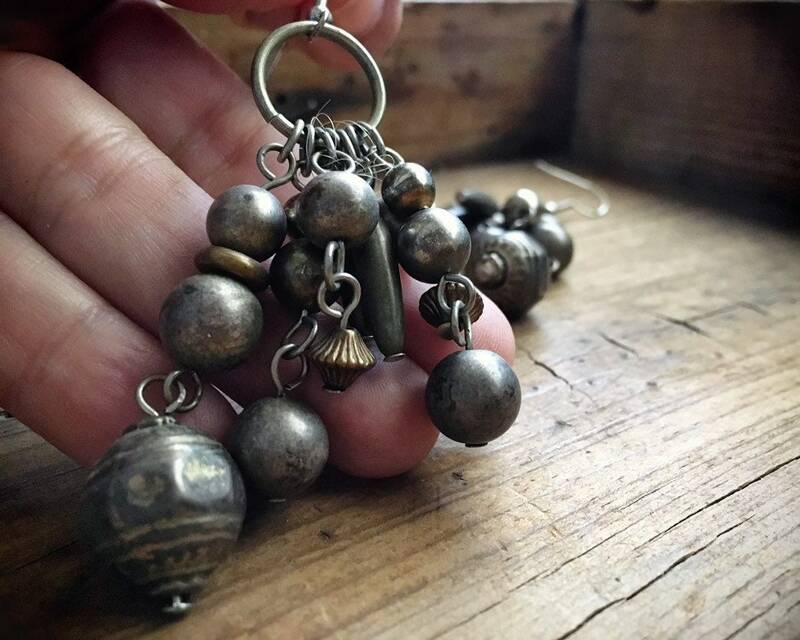 The earrings measure 2-1/2" long by about 1" wide at the widest point. The silver has tarnish from age but will polish up wonderfully. I like the patina and would not take off too much of the tarnish. In good vintage condition. Light and fun and sure to get many complements!